It’s that time of year, my favourite time, when I get to see all the new products that are breaking out on to the health scene. This year it happened at Excel, over 2 days, at the Natural and Organic Products Europe show. Natural health, food, living and beauty were fully represented by the 700+ start-ups and established businesses all gathered under one roof. Here’s what caught my eye and made my personal ratings of BEST IN SHOW. I have been waiting for a multi collagen to hit the UK market for a VERY LONG TIME! Nature’s Plus have finally done the honours with an unsweetened, unflavoured powder that you simply mix into water, and away you go. 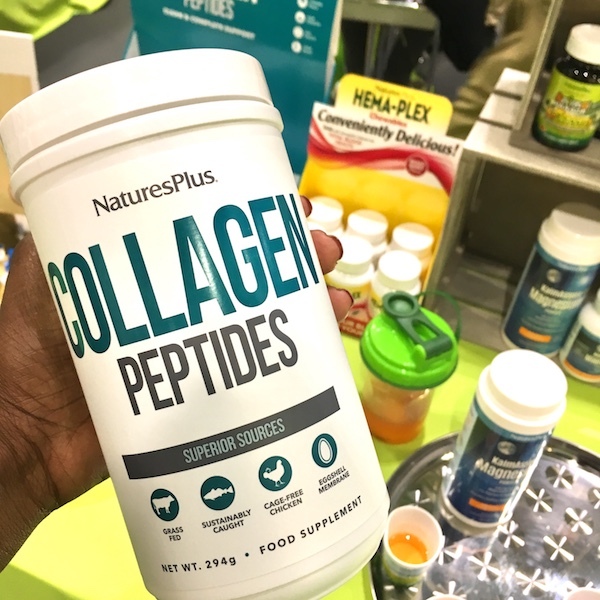 You’ll remember from my previous blog COLLAGEN UNCOVERED that there are over 16 types of collagen and plenty of animal sources to get them from. 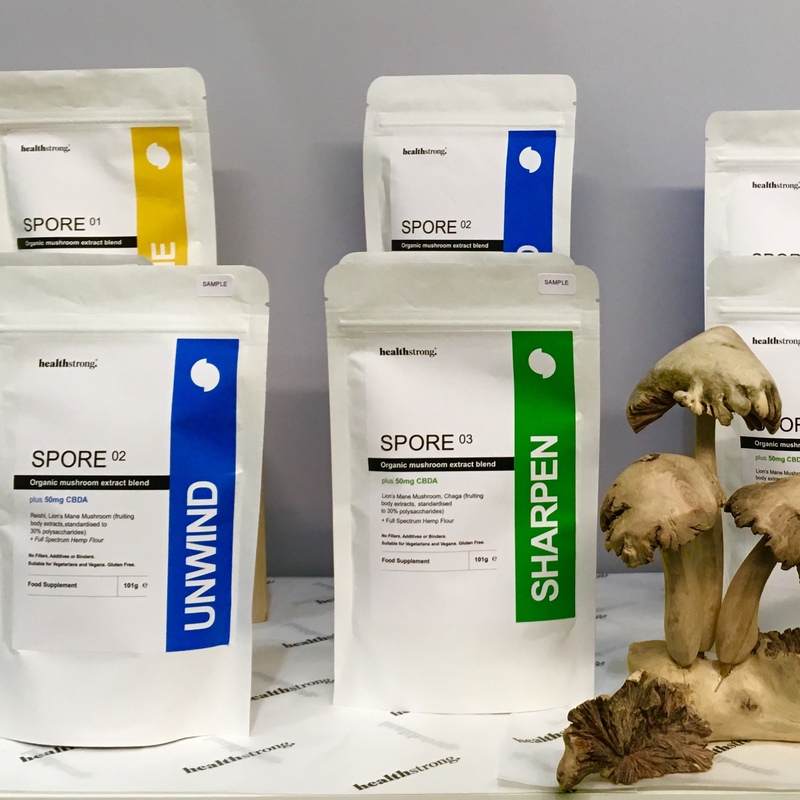 A multi blend provides them all, which means you can support joints, connective tissue, skin, pain management, gut health, muscles, anti-aging and wound healing in just 1 scoop. Easy peasy. 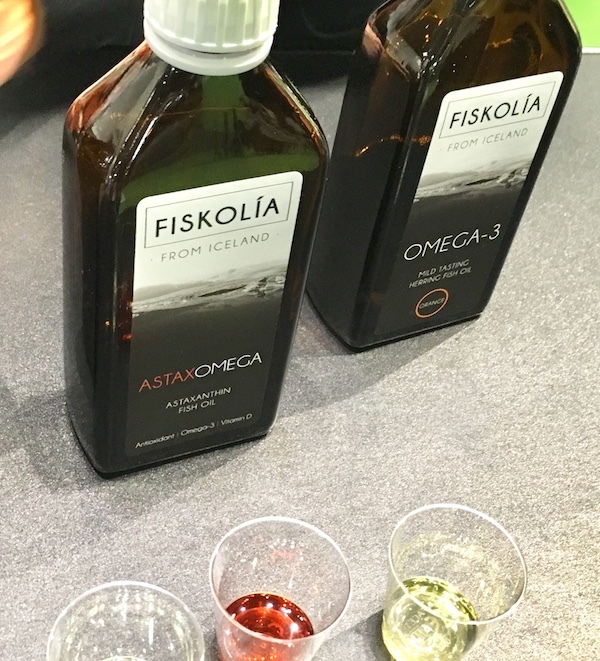 Start with a light tasting, sustainably sourced, omega 3 fish oil pressed from the flesh and liver of Icelandic herring. Add a dollop of the antioxidant carotenoid astaxanthin, (fun fact: it’s what makes flamingoes pink), and what do you get?… A souped-up supplement to support eye, brain, skin and cardiovascular health. Given the present state of the fishing industry, I applaud companies which develop products from off-cuts, so even less goes to waste. The trend for CBD oils is nowhere near over. 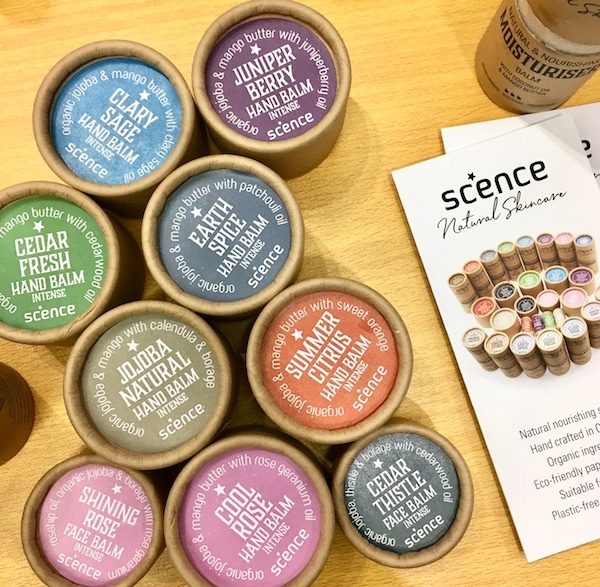 There were so many brands at the show – it seems CBD is the new turmeric, which of course as you know, was the new coconut water. Amongst the CBD oils, balms, water and chocolates were some absolute gems. As you probably know, I am in awe of the therapeutic benefits of the medicinal mushrooms. Take Lion’s Mane for instance, with its myriad brain boosting, focus enhancing and zen promoting effects. It is one of my absolute favourites. That’s probably why I yelped with delight and am intrigued by HealthStrong’s Medicinal Mushroom and CBD blends. Can’t wait for them to hit the shelves. 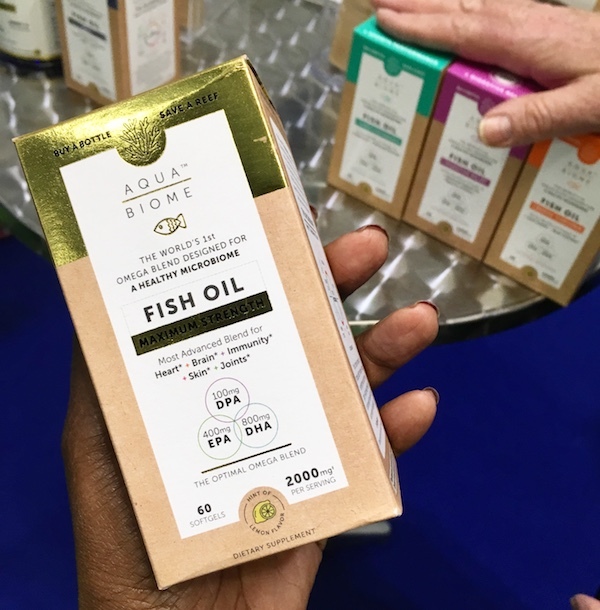 DPA – docosopentaenoic acid – is the new omega-3 fatty acid on the block, and Aquabiome is the first fishoil with a standardised amount clearly stated on the label. DPA is pretty special. Not only does it convert to DHA or EPA according to your needs, it also supports your intestinal microflora. I guarantee you’ll be hearing much more about DPA in the not too distant future. In fact, if you want to get a head start, then check out my OMEGA INFOGRAPHIC here. As people venture further into the world of health, thoughts turn to what’s left behind when the products are all used up. What’s flushed down the sink or thrown out in the rubbish, you start to wonder? Scence are a brand that have figured this out. Natural magic is happening in Cornwall, and it comes in a plastic-free, fully compostable wrapper. Why is there still so much mystery, fear and embarrassment associated with the female body and periods? And ignorance too?? Don’t get me started on the expense… VAT charged on feminine hygiene products, despite them being a basic necessity? Rubbish, I say! Well, I have 2 recommendations that go part-way to resolving this sorry state. The first is The Wonder Down Under by Dr Nina Brochmann – the most informative, accessible and fun book I’ve read in a while. Read it, please. 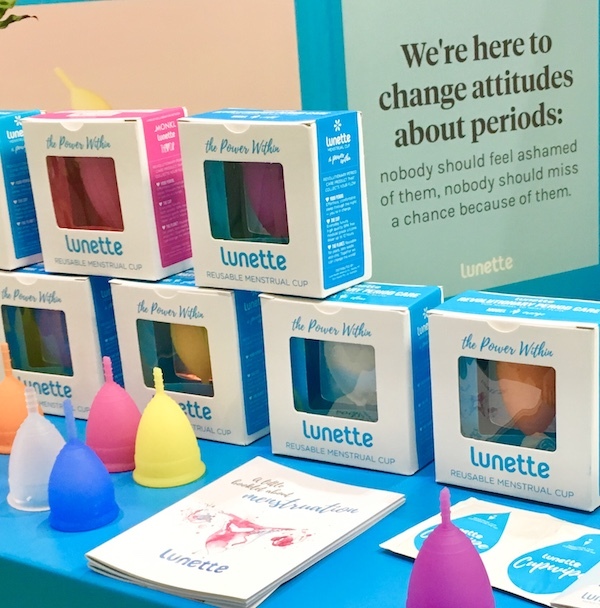 The second is Lunette’s menstrual cup – wallet-friendly, environmentally-friendly, and drama-free. If nothing else, the cheery colours will chase away any period blues. These little fizzers are the bomb! 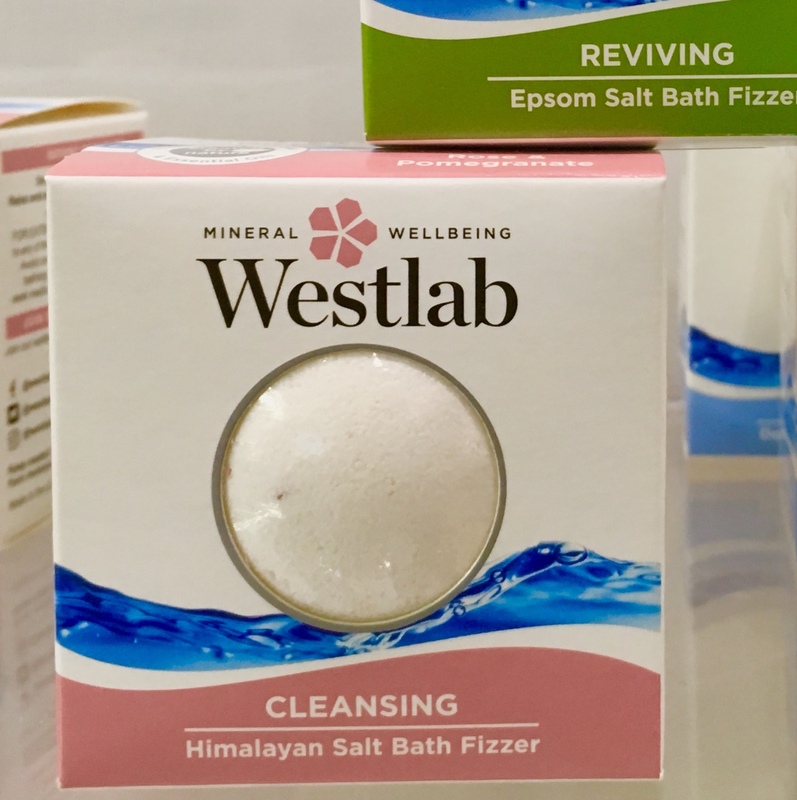 A new addition to the Westlab stable of bathing essentials, you’ll soon be able to take your therapeutic pick from epsom salts, dead sea salts and himalayan salts. I predict these will be fun in the bath, fabulous on the skin, and fantastic down the plug hole. 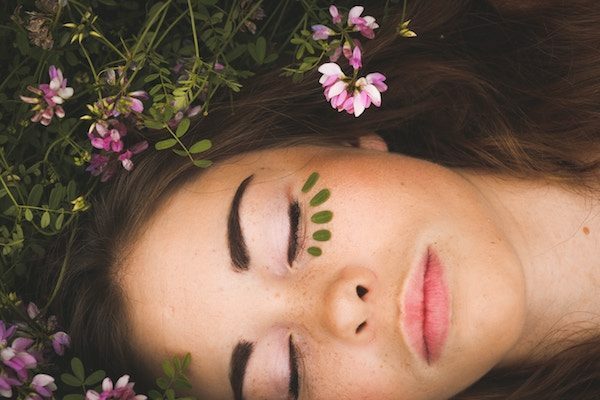 That’s it for Natural and Organic Health and Beauty. What’s up next? Which new foods tickled my taste buds? … Find out HERE. Curious about collagen and it’s superb health benefits?… Get your questions answered HERE. Lion’s mane is one of the best food supplements for brain health. What else helps you power up?… Find out HERE.